We’ve all heard the stories, gorgeous Italian properties for one euro, but is it true? 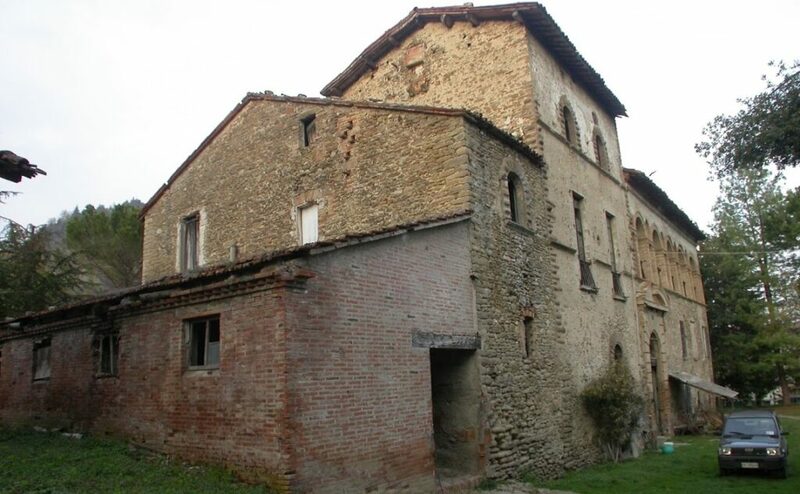 Well, it is for this property in Emilia-Romagna, about an hour’s drive from Bologna. Of course there are strings attached. About 1.5 million strings, in fact. But it still represents an awesome opportunity to create anything from a stately home to a hotel or apartment complex, all to your own personal taste. And all for the price of an average family home in London. 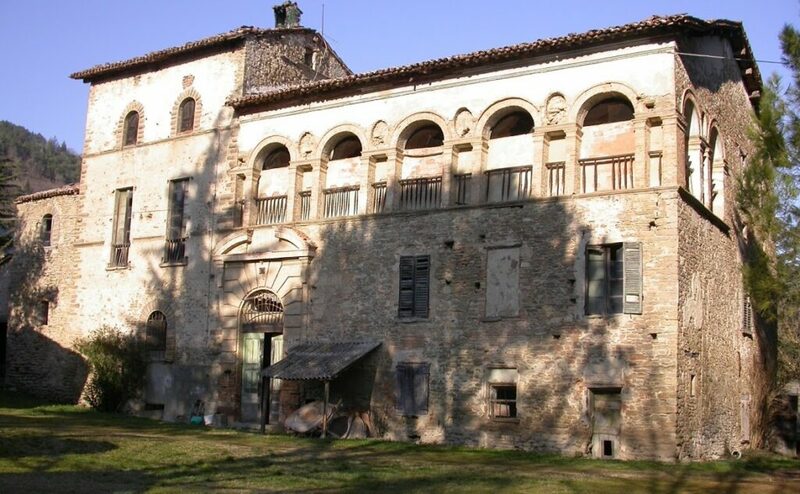 The property, Filanda del Casone, is being sold by the local council in Modigliana, a small town over about 4,500 people on the border between Emilia-Romagna and Tuscany. It was built in the 1750s and has been used as a silk mill, a monastery and a private home. It consists, essentially, of three stone buildings within grounds of 5,500 square metres. The main building is on five floors and covers nearly 1,100 square metres. Although the walls are in good condition, part of the roof has collapsed. Before the purchase can take place, the buyer will have to make legal guarantees of making repairs. However, helpfully, the council has prepared a rough guide to what that will cost. In total, the main building wil cost around €1.5million to fix. That’s at a rate of around €1,400 per square metre, with a little less for the basement and attic – plenty to make a good quality renovation. You can see the plans and costs here, and get in contact with the English-speaking estate agent here. It will be essential to engage a trusted lawyer for advice on purchasing this property. We can help with this. Or call us on 020 7898 0549. Filanda del Casone is certainly a grand building. You enter the grounds through a short drive. There are mature trees, plenty of room for parking if you should use it for a hotel, and the outbuildings that are estimated to cost around €146,000 to make habitable or usable. The main building has a striking front door and romantic, arched upper floors that would make a magnificent restaurant or hotel suites. Lower floors have shuttered windows, and the property is built in the warm local stone, plus brick. Built on several layers, the property has a certain medieval look and will be stunning when completed. When renovating abroad, fluctuating exchange rates can seriously change the cost of the project as you go along. We recommend talking to Smart Currency Exchange to fix your exchange rate. 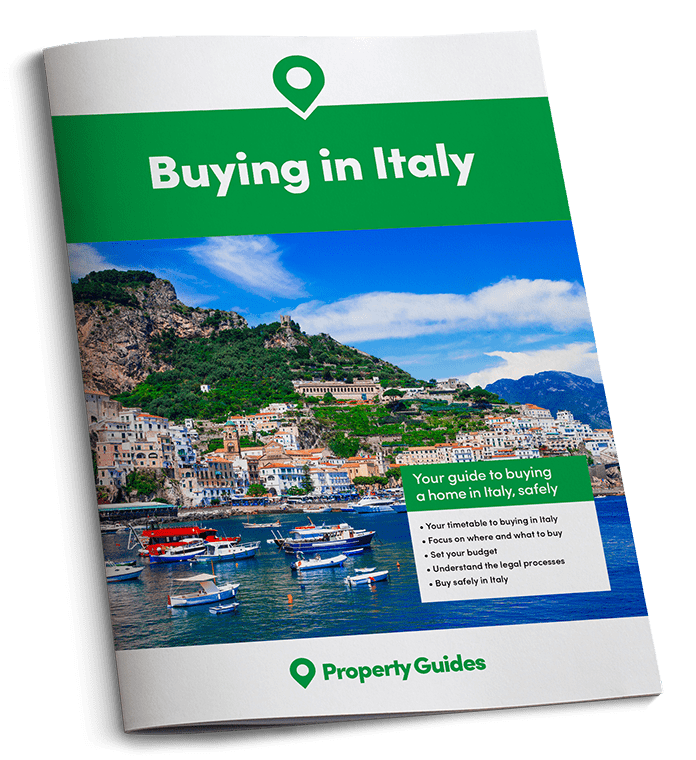 Read their free guide, the Property Buyers’ Guide to Currency. The town of Modigliana is in the foothills of the Appennines. 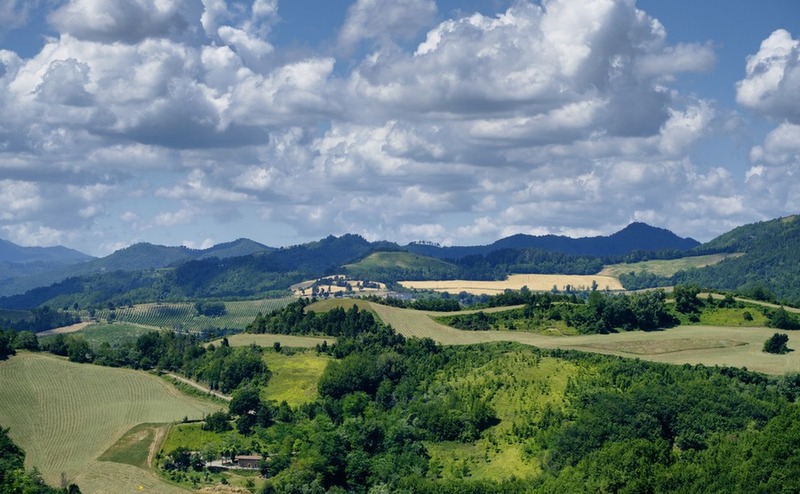 Although roughly equidistant between Florence, Bologna and Rimini, it would take twice as long to get to Florence through the mountains and forests – around two hours. The Foreste Casentinesi National Park is very close, home to eagles, owls, boar and even the Appennine wolf. The coast at Ravenna is around an hour’s drive. Forli Airport, with direct UK flights from Ryanair, is just 40 minutes’ drive away. You can find further details of the property from the English-speaking estate agent here.